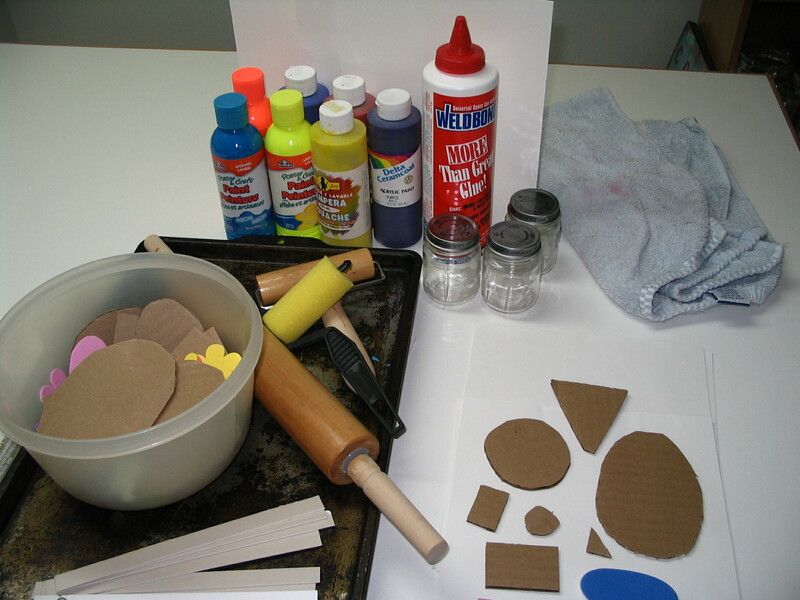 Supplies; Newspaper, Mat board, printing paper, acrylic paint, glue, jars for the glue, glue dabbers, cardboard shapes, rolling-pin, brayer and a place to dry your prints. 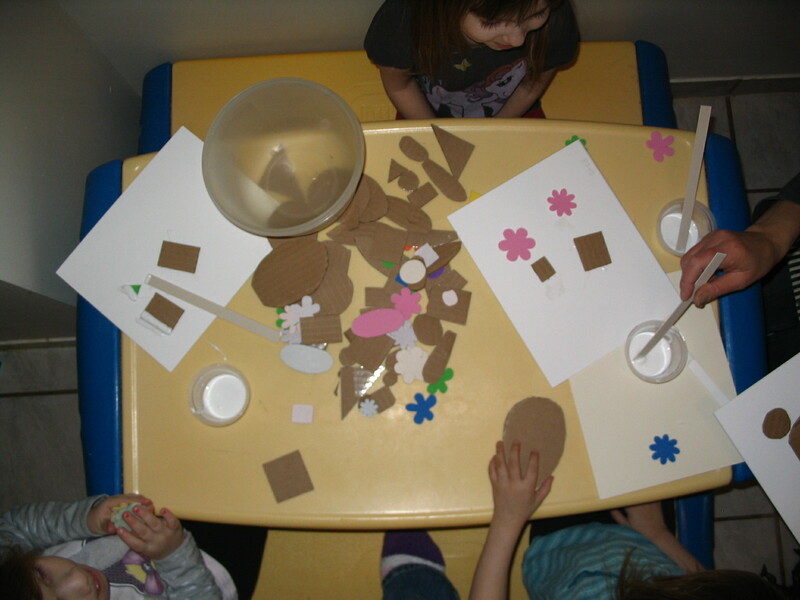 The process of gluing the shapes is so exciting that it became more important than creating a subject, however the design is instinctive when it comes from a preschooler. Great job in placement of the shapes onto mat board with glue. Once all the shapes are glued to the mat board (4 Ply) it’s onto the floor for the printing stage. 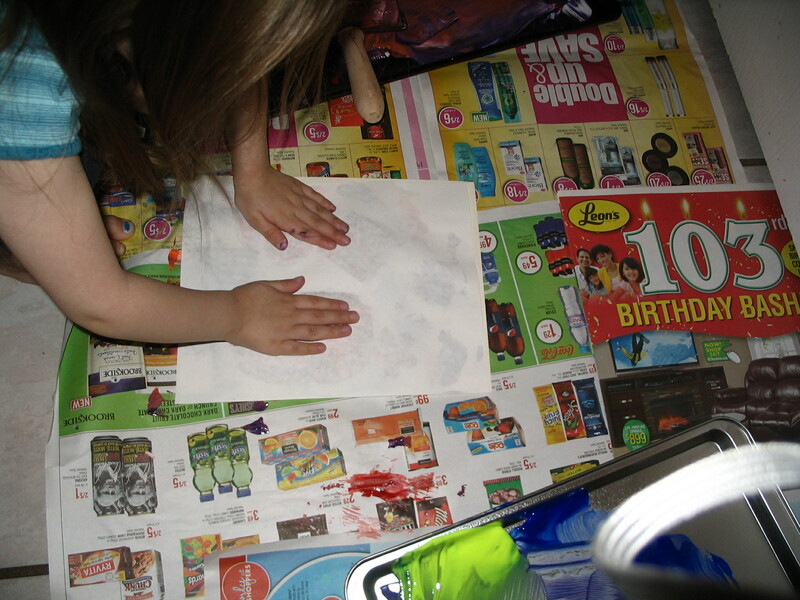 First line the floor with newspaper, paint will still find its way to the floor surface but it’s easy to clean up 🙂 Then, squeeze the ink or paint onto the cookie sheet, kids love to swoosh the colours around with the tools. 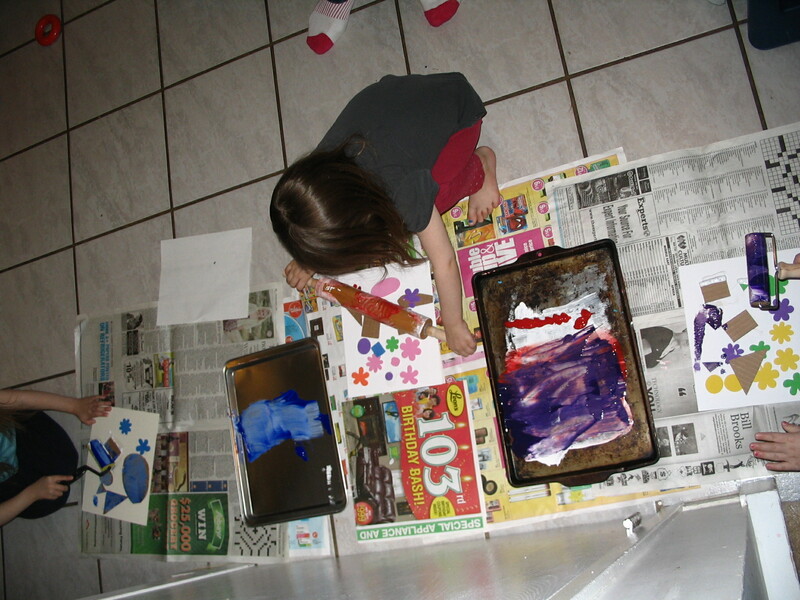 Next, load the rollers with paint and apply to the shapes and mat board. Now the magic begin when you placed the paper onto the painted shapes. The children love the feeling of the shapes rather than just seeing them. This is good for both mind and body. Peeling the paper from the mat board brings a smile to everyone 🙂 Hanging to dry is easy with this clothes dryer bought at Ikea for about $5. works well for a collection of prints. 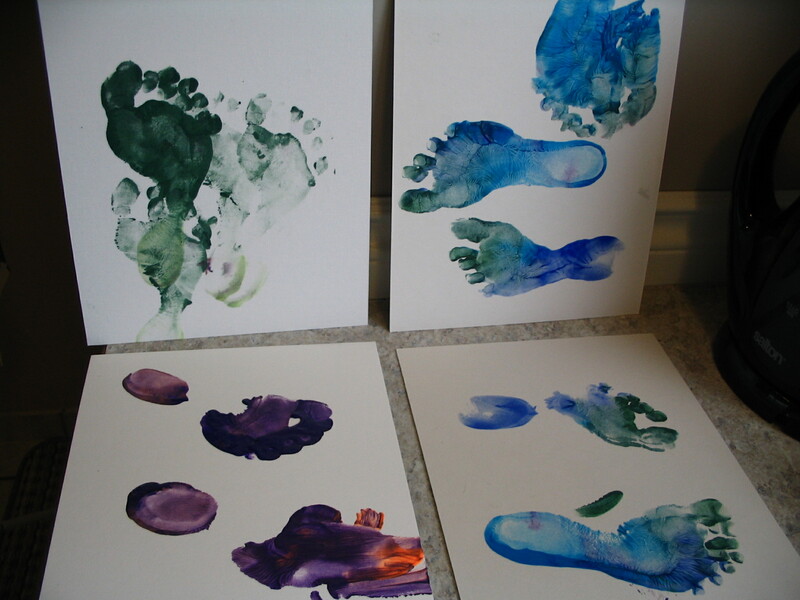 As you can see we added another printing process with the left over paint, FEET became a great inking object to make prints with. Fortunately for me I had help with the cleaning up of feet and excess paint. 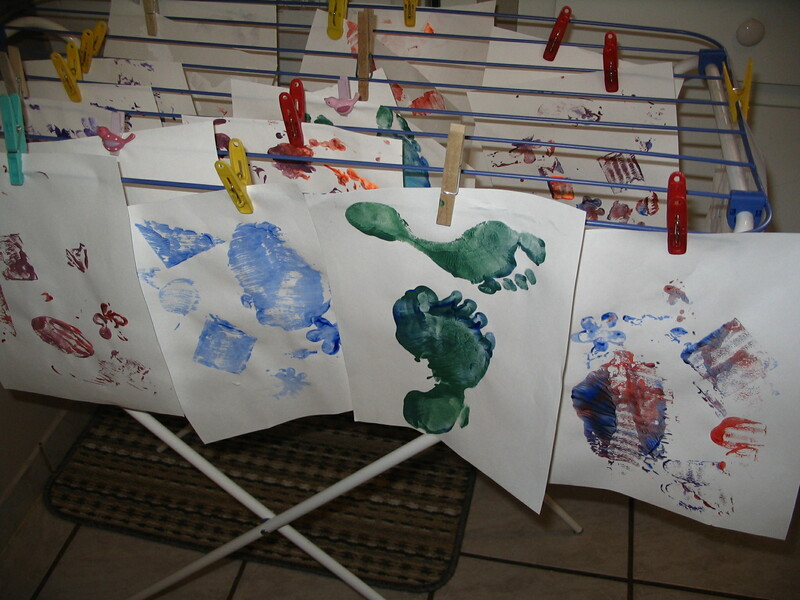 This entry was posted in Art Education for Preschool and tagged children, inking, printmaking, prints on paper, stamping. Bookmark the permalink.